Come January 1, loss-making government-run airline Air India will not serve non-vegetarian food to its economy class passengers on flights up to 90 minutes duration. The national carrier has also decided to struck off both tea and coffee from its lunch and dinner menu. As of now, Air India serves sandwich (both vegetarian and non-vegetarian) and cake on its flights, which are up to 90 minutes of duration, which will be discontinued from January 1, 2016, replaced with "all vegetarian" hot meal, an airline circular said. "It has been decided to provide all Indian vegetarian hot meals in economy class on all domestic sector flights between 61 and 90 minutes duration from January 1, 2016." the circular issued late last week said. Flights to most of the non-metro routes fall in this category. While Air India has defended the move saying it has upgraded the meals, a travel industry expert said the decision is unilateral. "We have, in fact, upgraded and improved the meals. So far, we were serving only sandwiches and cakes, which have now been replaced with hot meals," a senior airline official said. He said, with 150-odd passengers onboard and just two crew cabin members to serve, "at times it becomes difficult to cater as per the passenger's choice in such short-duration flights." "Airlines world over carry out customer surveys before taking such decisions. Unfortunately, Air India is very poor in such practices. This decision to discontinue non-vegetarian food on these non-metro flights is just one-sided," he said. 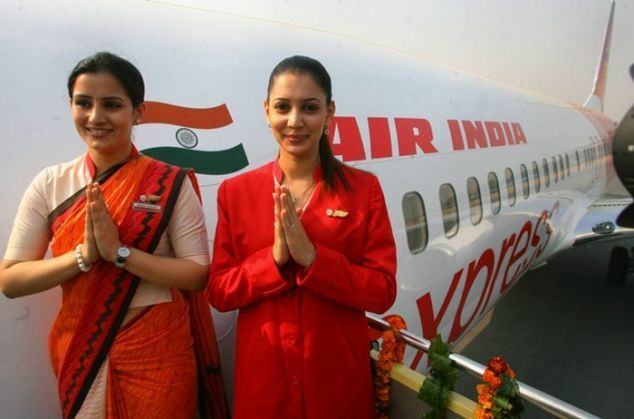 Air India had flown 1.18-million passengers with a market share of 16.2 per cent in the previous month.